25.5 by 30.5 cm. ; 10 by 12 in. 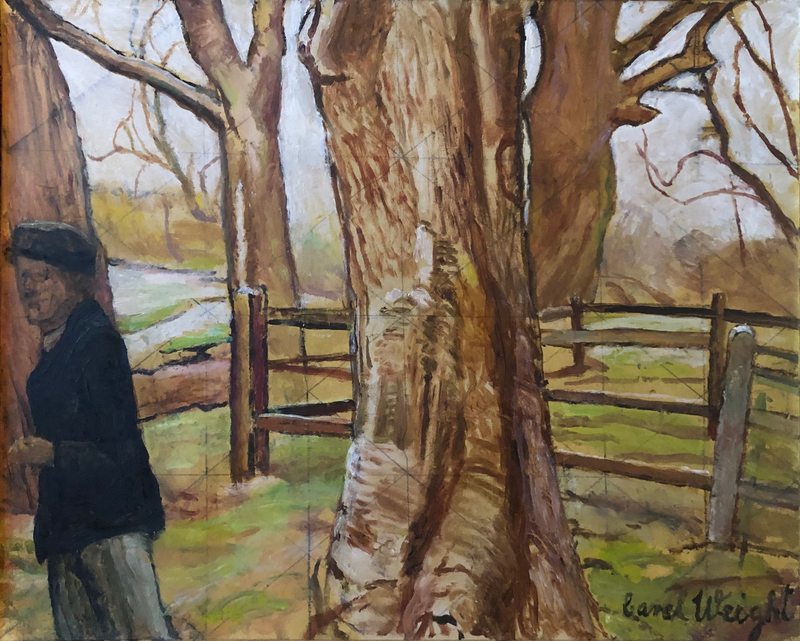 Carel Weight studied at Hammersmith School of Art and Goldsmiths College. He exhibited widely throughout his career with his first solo show being held at the Cooling Gallery in 1933. He was elected as a member of the RA in 1965 having exhibited since 1931 - and his retrospective was held there in 1982. Distinctive in style, Weight's work often depicts landscapes and surburban scenes with enigmatic figures playing out awkward human dramas.